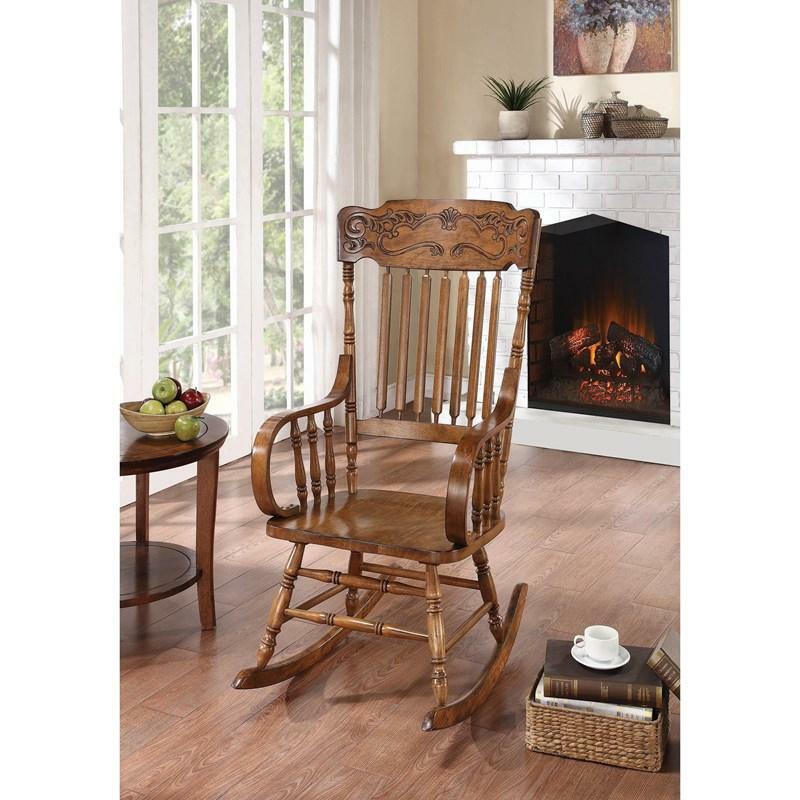 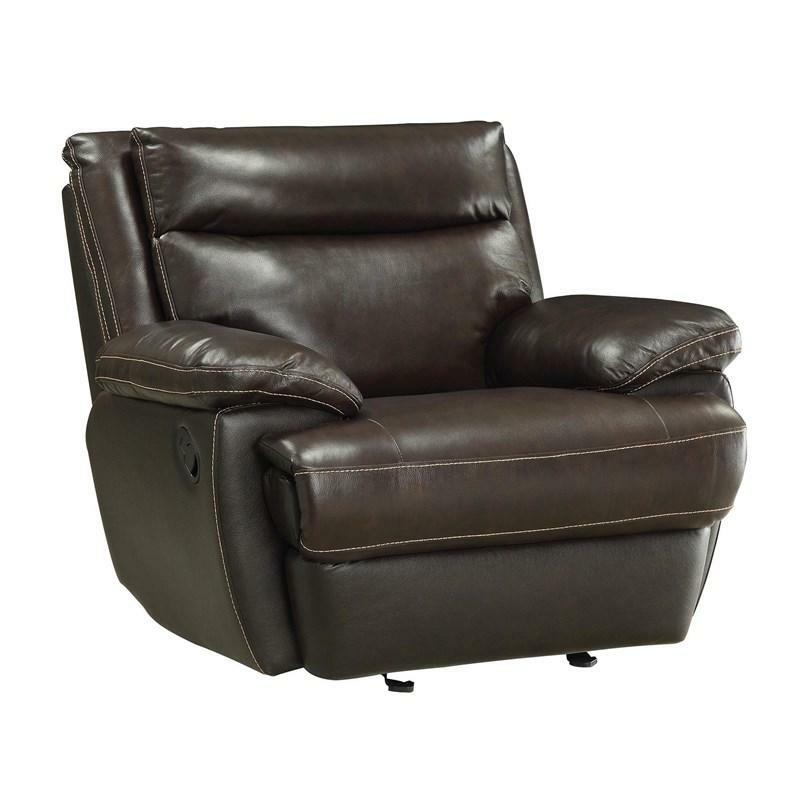 This MacPherson Glider Recliner boasts a handsome covering of cocoa bean leather match, contrasting top stitch detailing, and extra plush support for your arms and neck. 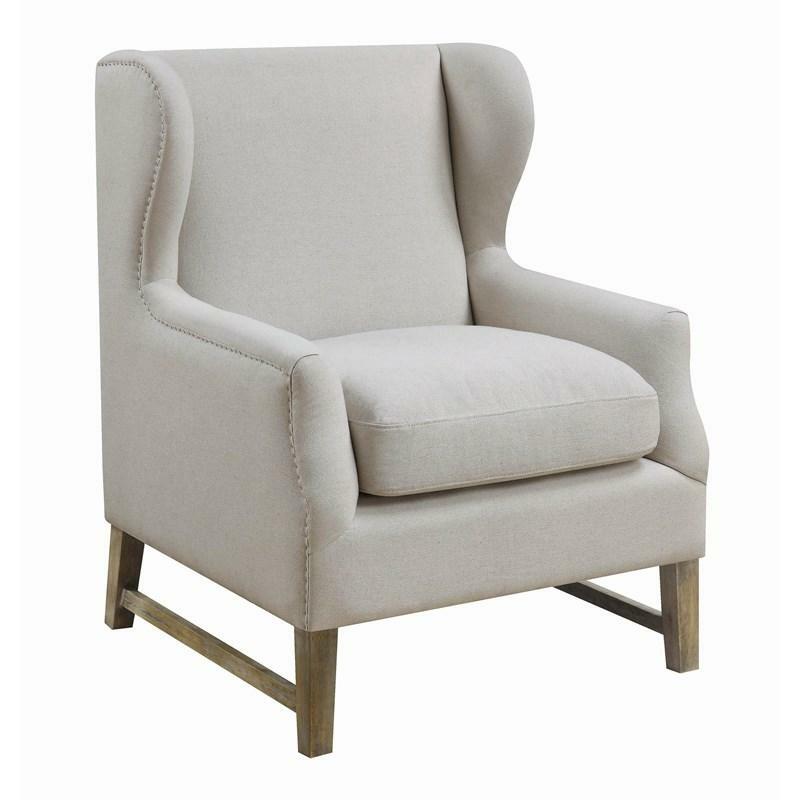 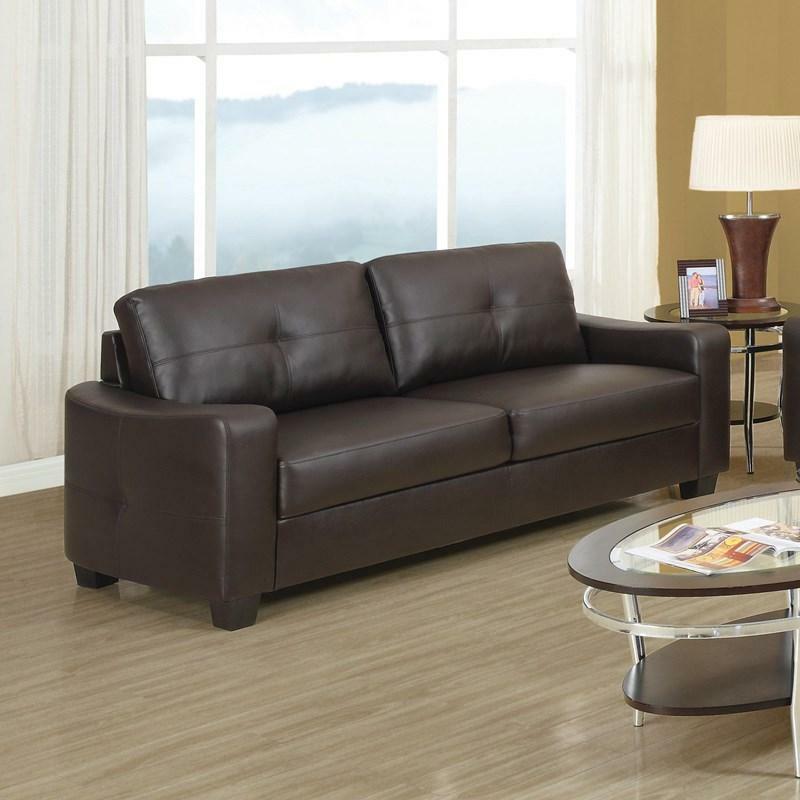 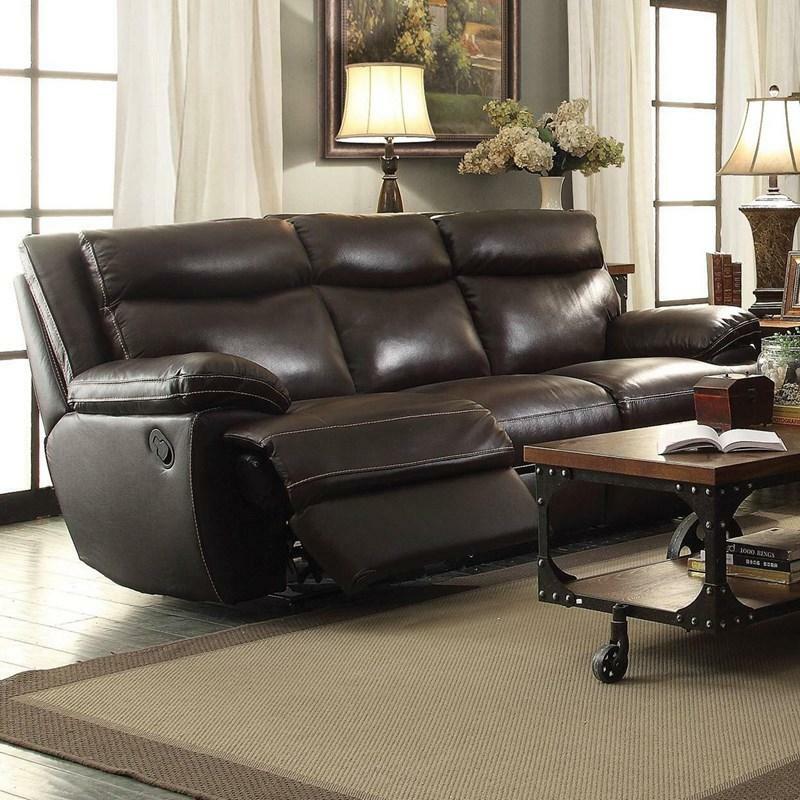 This piece features an easy way for any family to add cutting-edge recliner technology to their living space. 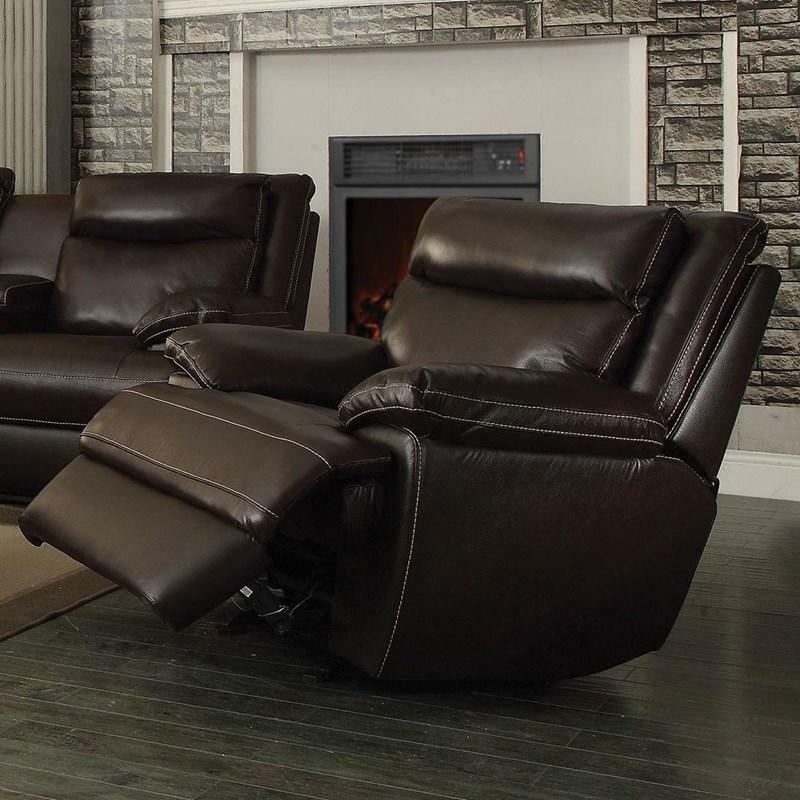 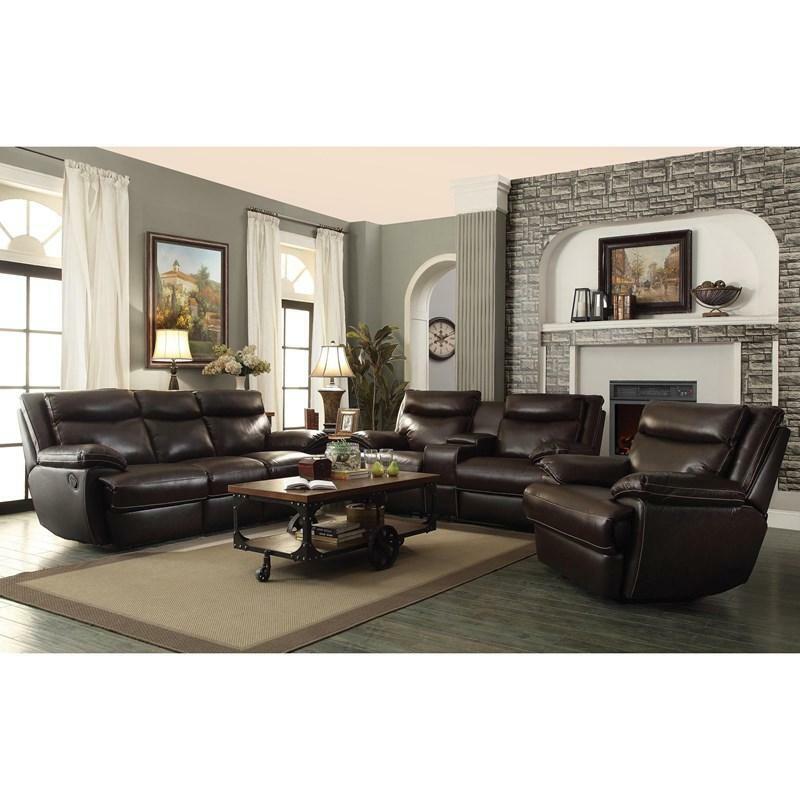 The sleek look and feel of real leather match is what you'll notice first about this handsome collection, but look closer and you'll see functional storage, cup holders, and power recliners with built-in USB charging ports for topping up the battery on all your portable devices. 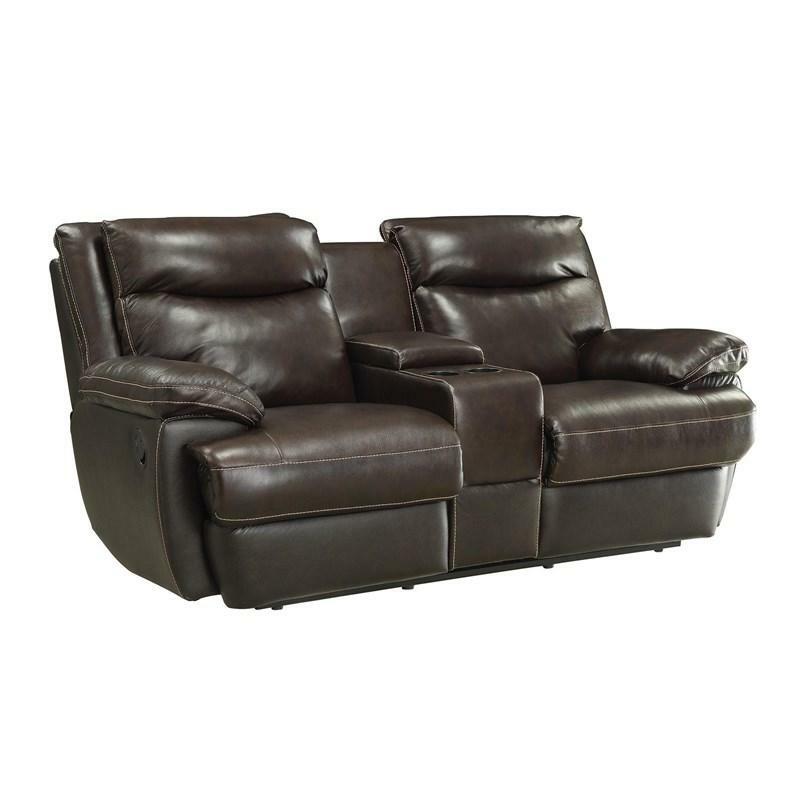 • Space Needed From Wall To Recline: 12"
• Distance From Back To Wall To Recline: 12"
Volume 27 cu. 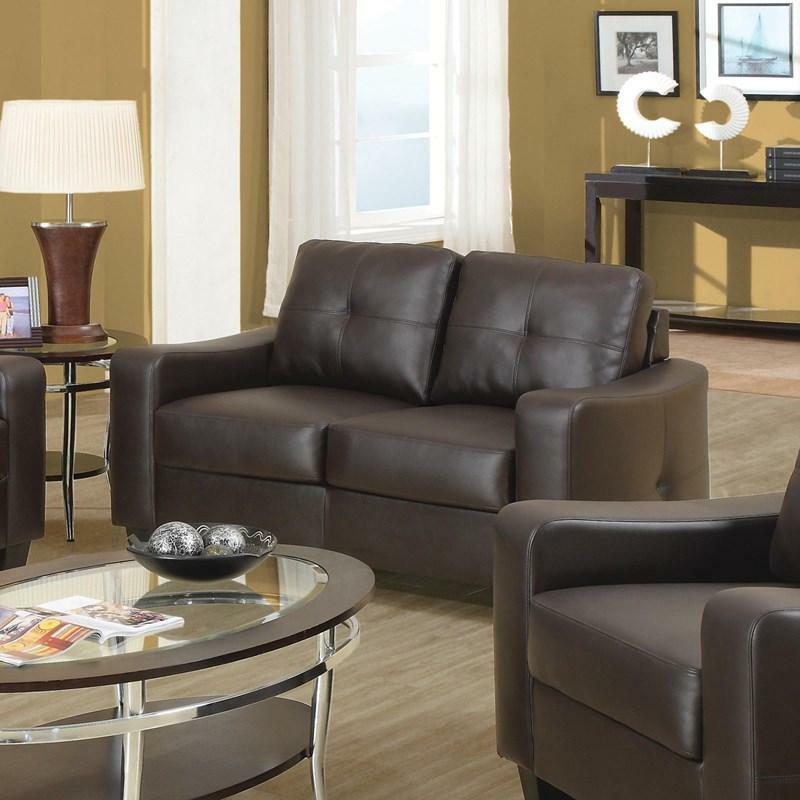 ft. / 0.76 cu. 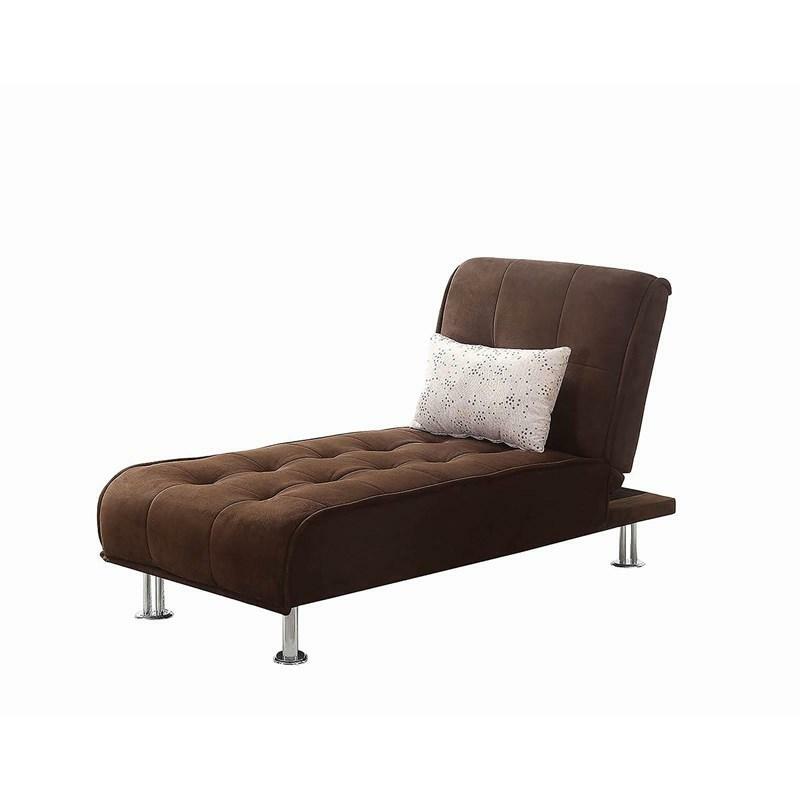 m.
The 300277 sleeper chaise from Coaster Furniture features button tufted back and seat, reclines and creates a sleeper when joined joined with matching sofa and is wrapped in a brown fabric. 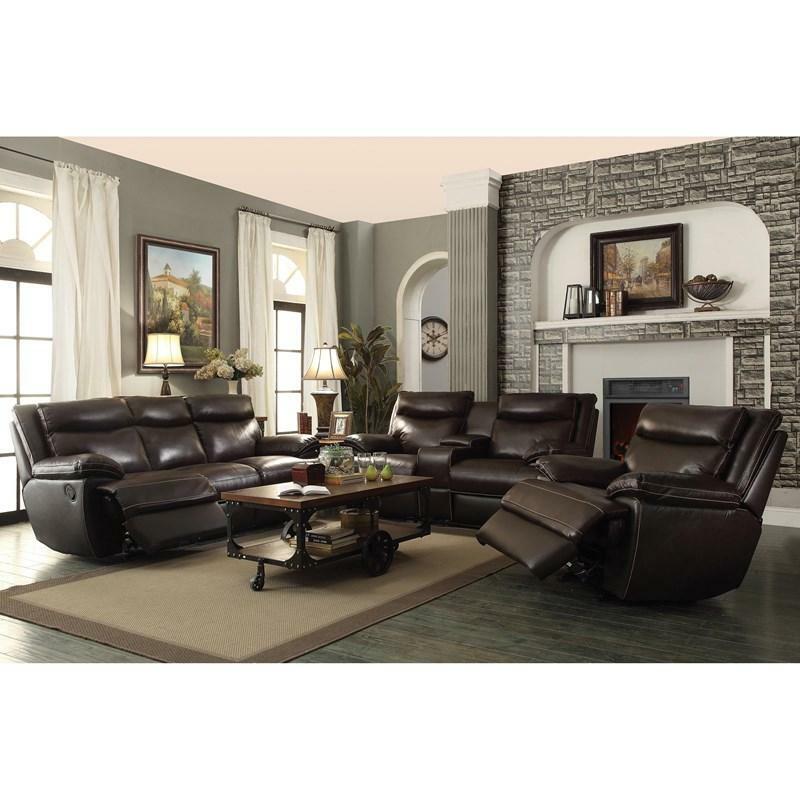 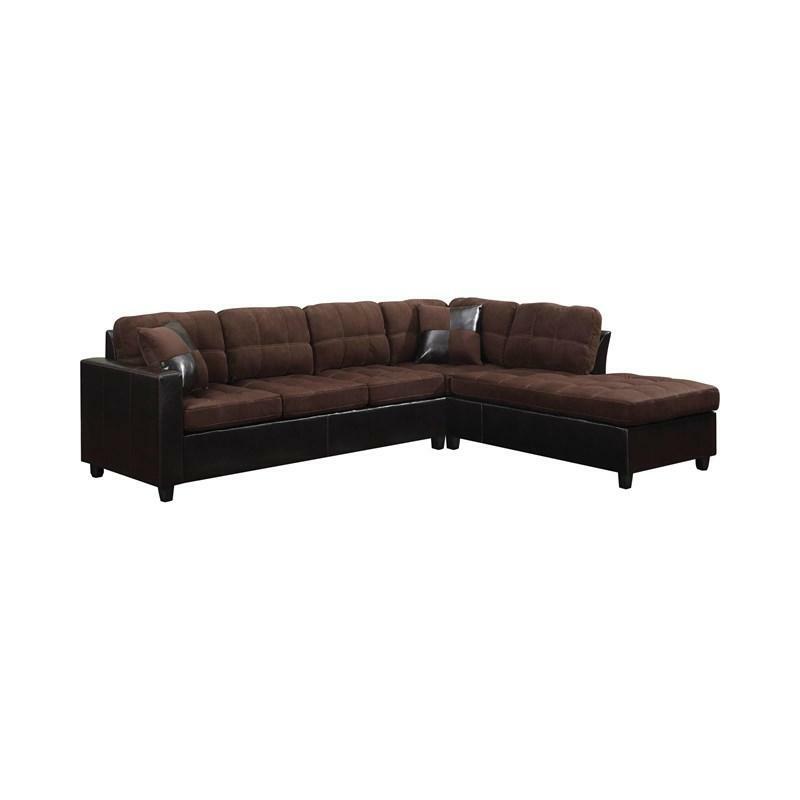 The MacPherson Reclining Sofa boasts a handsome covering of cocoa bean leather, contrasting top stitch detailing, and extra plush support for your arms and neck. 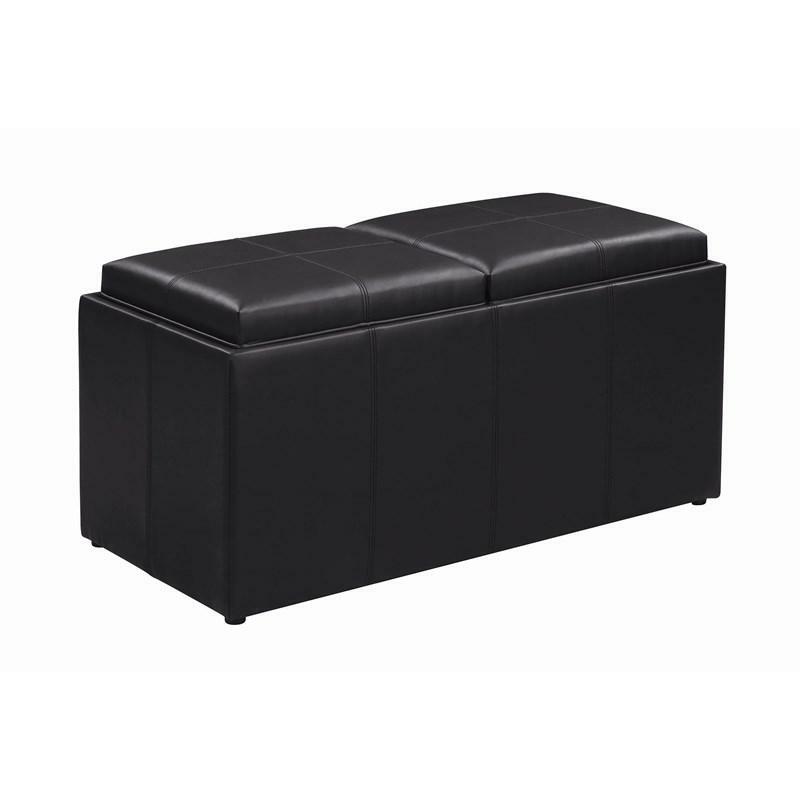 It features a bustle back, padded seat with footrest and plush pillow arms.